The Minnesota Hockey Magazine Podcast and Radio Show are two connected media outlets that we have just begun to implement in order to magnify the message of our partners. The podcast can be found on our MinnesotaHockeyMagazine.com website and will also be included in every newsletter that is sent out bi-weekly. In addition, each podcast will be broadcast via radio. At the current time, we are exploring the local radio network options for the right fit, and so far ”CBS 105.1 Sports Talk – The Ticket” is looking like a leading candidate. We will be testing and making changes during this first year to determine the most effective radio stations and time slots throughout. 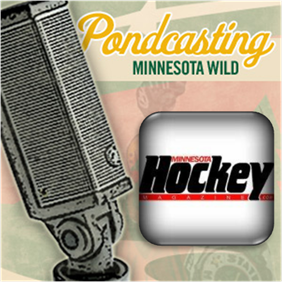 The Podcasts/Radio Broadcasts are professionally produced in the Minnesota Wild’s studio by Kevin Falness, who has worked with the Wild in production of radio for their 40 station network for the past 13 years. Peter Waggoner, our “on-air” talent, is a 23 year veteran of broadcasting and is well respected within the Minnesota hockey community. His delivery and knowledge of the game brings the audience into the conversation, and his ability to attract great guests, whom speak on the game’s most relevant topics, keeps the audience captivated and coming back. The Minnesota Hockey Magazine show is approximately 30 minutes in duration, with 8 of those minutes dedicated to promotional spots for our partners. These spots are automatically provided to our Diamond, Gold and Silver level sponsors as part of their comprehensive advertising plans; our Diamond level partners receive the 30 second spots, our Gold level partners receive the 15 second spots and our Silver level sponsors receive a “Sponsored By” mention. Available space after fulfilling our requirements to our comprehensive package buy-in sponsors will be available on a first come first serve basis; priced individually at $100 for the thirty second spot, $60 for the fifteen second spot and $25 for the “Sponsored By” mention. We have a limited amount of time each week… so secure your position by joining us as a comprehensive advertising partner or check in promptly each Monday morning. The show is currently scheduled to run 4 times per month for the rest of the 2012-13 season.